Globally, there is a need to provide mental health support as part of humanitarian response when crisis events occur. In an everyday context, we must be conscious of the need to provide support to those who experience personal crises such as losing a loved one, serious physical illness, violence or abuse, and even stress at work. 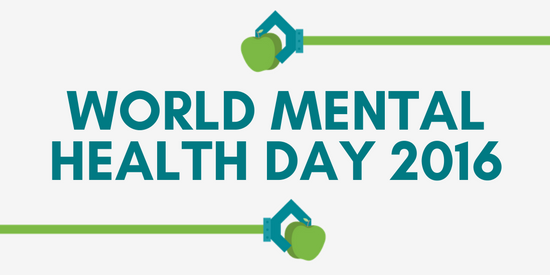 World Mental Health Day is a great opportunity to tackle the issue of mental health stigma that can make it difficult for people to seek the help they need. It can prevent them from creating a network of support (through friendships and other positive relationships), leaving the individual feeling isolated, fearful and ashamed. Mental Health First Aid (MHFA) England’s ‘Take 10 Together‘ campaign is committed to tackling this stigma and the isolation connected with mental illness. It encourages people to connect with their loved ones and have a meaningful conversation about their wellbeing. How can Pharmacist Support help? Here at Pharmacist Support, we are always seeking to promote positive wellbeing and offer a range of services for pharmacists to help with stress, anxiety and other mental health conditions. If it all gets too much and you find yourself in need of a confidential listening ear, our Listening Friends volunteers may be able to help. Call the free-phone helpline on 0808 168 5133 and we’ll arrange for a Listening Friend to give you a call. Through workshops, presentations and a variety of online support tools such as webinars and fact sheets, the Wardley wellbeing service exists to help those in the profession deal with increasing pressures. The Health Support Programme exists to support pharmacists throughout their career who are experiencing problems with alcohol, drugs, gambling, eating disorders or other types of dependency. Fully qualified addiction specialists are on hand to assist, and all calls to this service are entirely confidential. To contact the Health Support Programme helpline, call 0808 168 5132. To contact our enquiry team call 0808 168 2233, email info@pharmacistsupport.org or LiveChat us.